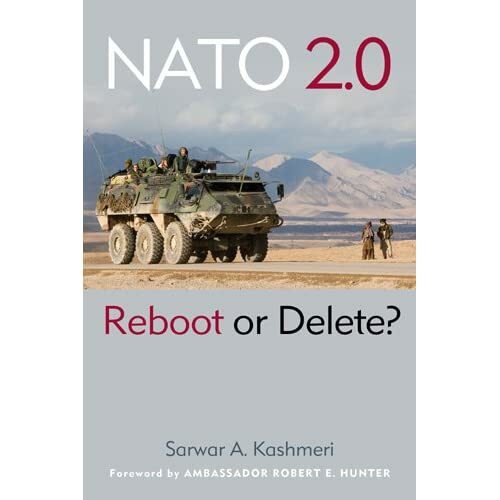 Anne Applebaum | "NATO 2.0: Reboot or Delete?" Will The Real NATO Please Stand Up! Did anybody say NATO was increasingly dysfunctional? The U.S. vs France + Britain. Ouch. MY TAKE: Not only is there little consensus within NATO on what it is doing in Libya, the economic recession has bottled up the alliance’s effectiveness. It is not well known that each NATO member pays for its military operation in NATO missions. The Alliance itself has no funds or military assets to fight wars. In Libya, the UK and France (and whatever other countries have agreed to contribute to the war plan, and only a handful of NATO members have) pay for their military contribution out of their national treasury. As they have been doing in Afghanistan for a decade now. Not long ago the Prime Minister of Poland showed up at NATO headquarters to bemoan the country’s expenses in Afghanistan that total $1bn per year, fully one-tenth of Poland’s entire defense budget. The United States spent upwards of $600 million in the first week of the Libyan war, now it expects to spend around $40 million over three weeks, at most. So who picks up the slack? Mainly France and Britain. No wonder the two would like other NATO members to step up to the plate. Here’s an idea. NATO is busy building itself a new billion plus dollar headquarters outside Brussels. Maybe it could shelve the plan, donate the money to all those countries that can’t afford to join in NATO’s war in Libya and help poor France and Britain from going broke fighting…and save the poor American taxpayers from ultimately footing another war bill. At a recent lunch with three CEOs, I asked them to tell what they thought about NATO. None of them could understand why NATO was still around. Only one of them knew NATO was deployed in Afghanistan. The CEOs ranged in age from the mid-thirties to the mid-fifties and were as well informed about current events as anyone in America. I’ve been asking my NATO question ad naseum at every opportunity I get. The results are very revealing of the gap between the “experts” and DC professionals on the one hand and the rest of the populace on the other. I also believe there is a clear generational divide on NATO’s future. Witness these two opinions. One by Senator Lugar, a hugely respected voice in the foreign policy establishment, and the other by Anne Applebaum, Washington Post’s provocative columnist. “The provision of security assurance within Europe has been a central challenge to American foreign policy since 1917. Our continued commitment to NATO does not come without costs, but remains the most promising vehicle for projecting stability throughout Europe and its political fault lines with Asia and the Middle East. . .” [Read Full Transcript] Note: Emphasis in bold are in the original transcript.